Time for a New Clock? This essay has been printed in the 70th Anniversary (September 2016) issue of Chess Life. A penultimate (and unedited) version of the review is reproduced here. My thanks to the good folks at Chess Life for allowing me to do so. Note that all prices listed in the review are from uscfsales.com as of mid July 2016. The in-text links do not go to USCF Sales but to Amazon (with the exception of the Vtek), and so prices may vary widely. Each year the Delegates to the United States Chess Federation meet at the U.S. Open. Among their many duties are the consideration of various motions, some of which deal with changes to the Official Rules of Chess. Some of these changes are minor and of little practical consequence for the majority of players. Others, like the rewriting of Rules 5E and especially 5F – passed at the 2015 Delegates Meeting and enacted on January 1st of this year – warrant closer attention. Rule 5F deals with the ‘Standard Timer,’ enumerating the criteria by which a chess clock can be considered tournament legal. You can find all of the details online at uschess.org, but the bottom line is this: analog clocks, while still legal, are on the way out. They don’t allow for delay time, now assumed standard, or increment (5E), and digital clocks are to be preferred to analog clocks in all cases (5F4). The good news is that a slew of new clocks have come to market, with options and price points to appeal to every type of chess consumer. Which one is best, and for whom? There is no single answer to this kind of question, but readers should be well-equipped to make educated buying decisions by the end of this article. One of the difficulties in assessing the features of competing clocks is the terminology. What’s the difference between delay, Bronstein, and Fischer modes? What’s the difference for the practical player? The U.S. Chess Federation rule book differentiates between delay (pause) and increment (added) time modes (Rules 5, 42), and it recognizes two types of delay. Most American players are familiar with simple delay, where a player’s clock does not begin to decrease for a specified amount of time (usually five seconds) after pressing the clock. With Bronstein or ‘add-back’ delay, invented by former World Championship Challenger David Bronstein, clock time begins to decrease when it is a player’s turn to move, and the time used, up to the specified delay, is added back when the player hits the clock. US Chess rules consider these two forms of delay to be mathematically equivalent. Fischer or ‘bonus’ mode, named after its inventor, the American World Champion Bobby Fischer, is usually described in America as an increment. Time is added to a player’s clock with each completed move, although some clocks (notably DGTs) also add the increment time when a player’s clock first starts. In both cases, and in contrast to delay, a player can accumulate more time than she started with via the increment. Current US Chess rules do not specify which type of delay is preferred, although simple delay is the de facto standard. FIDE prefers Bronstein delay. The clocks under consideration in this article will vary as to how they implement both delay and increment, and I will note these differences accordingly. My analysis is drawn from extensive hands-on investigations and over-the-board play. I have also lent some of them out to friends and students for their inspection and comments. In what follows I first offer descriptions of all the clocks ordered by manufacturer, and I conclude with a series of recommendations for different types of players. All clock prices are drawn from the USCF Sales website as this article went to press. Digital Game Technology, or DGT, is perhaps the leading purveyor of chess technology in the world. Based in the Netherlands, DGT manufactures the e-boards and e-pieces used to transmit moves to the web at all the biggest events, and they also produce a full line of clocks. Broadly speaking, we can divide DGT’s product line in two: a scholastic segment (1001, Easy, Easy Plus) and a tournament segment (2010, 3000, NA). The scholastic clocks are tournament-legal but lack certain features that more serious players would expect; this is reflected in their relative cost. The tournament clocks, while slightly more expensive, possess a full range of features and settings. Let’s have a closer look at each model. The DGT 1001 ($29.95) is a small clock designed for the beginner. It lacks delay and increment, and it can only be set for one time control – for G/90, say, instead of 40/90, SD/30. The tradeoff is that it is incredibly easy to program. You just press the plus or minus buttons on the top of the clock to change the starting times, hit the play button, and you’re off. My youngest student, age 8, managed to correctly set it within a minute or two of opening the box. The Easy ($34.95) and Easy Plus ($44.95) share a unique housing and profile: they are shaped rather like an index card folded longways. The Easy comes in three different colors and the Easy Plus in just one, and both clocks can only be programmed for one time control. What distinguishes the two is their ability to handle delay and increment. The Easy lacks these functions, while the Easy Plus can be set for simple delay and increment. These clocks seem the sturdiest of the DGT line, and I found them fairly easy to set. While the 1001, Easy, and Easy Plus are all limited and perhaps best for beginning or scholastic players, the DGT 2010, 3000 and North American (NA) are robust clocks suitable for all playing conditions and time controls. Because of the similarities between the 2010 and NA, I will treat them in tandem before turning to the 3000. The 2010 (unavailable through USCF Sales; $85.95 at Chess4Less) and North American or NA ($49.95), like the Easy and Easy Plus, share a common housing and are physically identical save their color. What separates them is their feature set. The NA was specifically designed for the North American market, with settings and timing modes commonly used in American tournaments. The 2010 features Bronstein delay and increment along with other time settings like byo-yomi and count-up that are used in Go and Scrabble. Both can be set for up to four time controls. The 2010 and NA are programmed in the same manner. Users select from presets – thirty-six in the case of the 2010, twenty-three in the case of the NA – listed on the bottom of the clock, including a number of adjustable options. I found the setting of both clocks to be quick and intuitive, although I have to admit that I struggled until I actually read the LCD and configured seconds instead of delay time! Blitz fans, however, will lament the fact that you have to pick the clock up and turn it off/on to reset it for each game. The 3000 ($109.95) is DGT’s top-of-the-line clock. 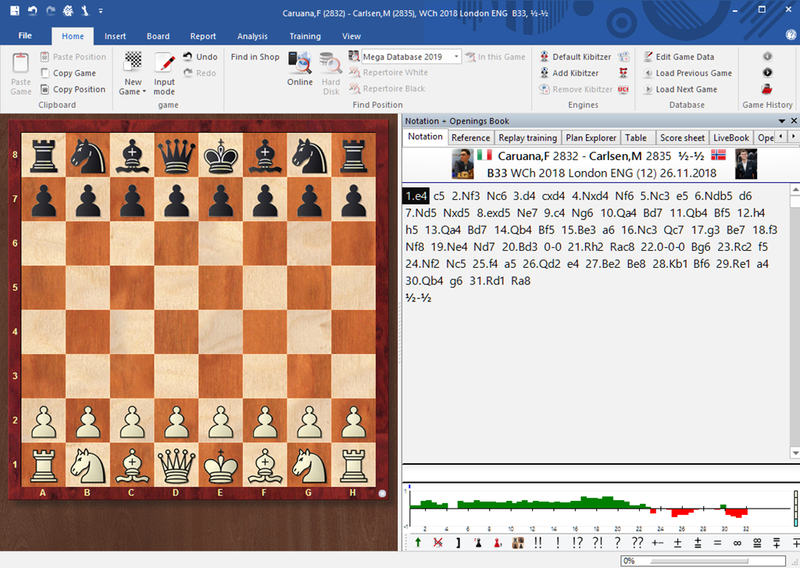 It’s the one you see in use at major events like the U.S. Championship, the Sinquefield Cup, etc., because when connected to a DGT e-Board broadcasters can transmit both moves and move times to the Internet. The 3000 is the only DGT clock to allow for simple delay, Bronstein delay, and increment, and it’s the only clock I’ve seen that shows seconds on the display in all time controls and timing modes. The 3000 comes with twenty-five presets along with five manual settings that can be saved for future use. It is set in much the same fashion as the 2010 and the NA – both of which it resembles, save the slightly larger LCD – but the 3000 also allows users to choose timing methods from a list on the display. This makes its programming very simple. You do have to pick up the clock to reset it, as with the 2010 and NA, so players primarily searching for a blitz clock might look elsewhere. OmcorChess is a chess manufacturer from Mexico, and the GameTimer 960 ($44.95) is their first clock on the American market. It is so new, in fact, that my review model was the first of its kind that I’d seen. The shape and size of the clock are similar to that of the higher-end DGT clocks, and like them, the GameTimer 960 uses a rocker arm. It is also set in a similar manner, with fifty-eight timing options (printed on the bottom of the clock) available, including simple delay, Bronstein delay, and Fischer increment along with byo-yomi and Scrabble options. 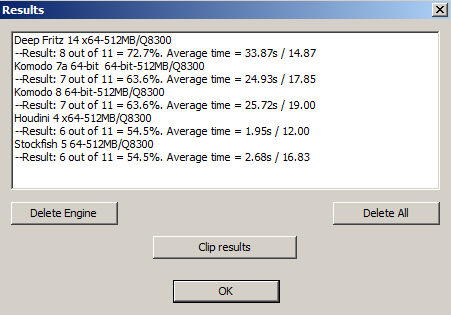 One important feature of the GameTime 960 is its utility for Chess 960 players. Users can press the 960 button and a random 960 starting position will appear on the display. Unfortunately the GameTimer manual is very poorly translated, so I was not able to fully grasp all the dimensions of this feature. The clock also comes in a USB equipped version, allowing users to display clock times on a computer screen. On the whole the GameTime 960 seems feature-rich and fairly well-built, although the rocker arm feels less secure than do those on DGT clocks. I did find the location of the delay / increment countdown to be unfortunate, as it appears in a spot on the display that would be natural for a seconds counter. The VTek 300 ($149.95 at chesshouse.com), produced by VisualTek Inc. in conjunction with Shelby Lohrman of American Chess Equipment, is an American-made clock that boasts a unique feature. It is fully menu driven, with a series of options and suboptions accessed through a dedicated line of text on the LCD display. The VTek has the largest footprint among the clocks reviewed here, and it is also the heaviest of the bunch. Available in multiple colors, the VTek has a metal housing with mechanical push buttons and LED move indicators. The manual suggests that there are 36 preset time controls available, along with a dedicated ‘create new’ option. Simple delay, Bronstein delay, and Fischer increment modes are available, but oddly enough, controls for Bronstein time are found under an increment settings menu. 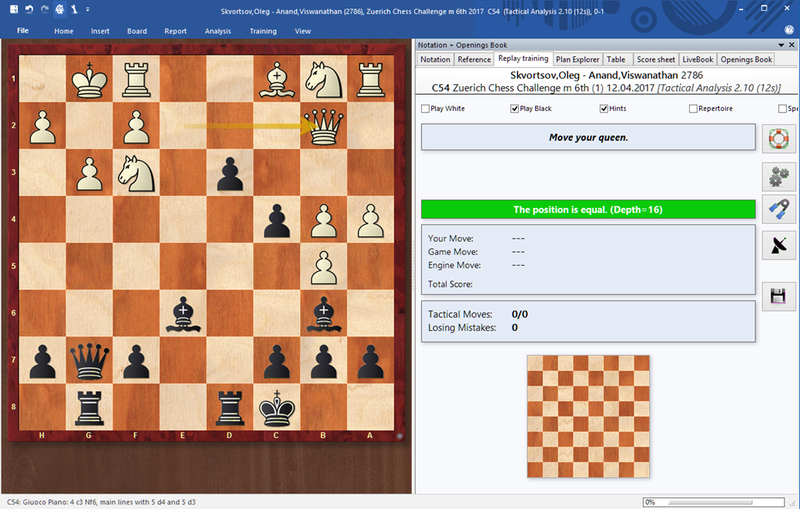 There is no question that having a full text menu is helpful in correctly setting the VTek, and the fact that user preferences are set globally (FIDE style, USCF style, etc.) is an interesting innovation. It did take this long-time Chronos user some time to learn the button combinations needed to navigate the menus, and for some reason, you can’t specifically turn the move counter on or off. This last quirk might be corrected with updated firmware, something that VisualTek intends to make available to its users through a mail-in service. ZmartFun, a Miami-based company, offers two clocks that are perhaps the most direct challengers to Chronos’ market share. The ZMF-II ($59.95) has a plastic case and a bright LED display, while the ZMF-Pro ($99.95) is housed in metal and has two large LCD displays. Both are equipped with touch-sensitive buttons, and both share an identical set of menu options and settings. There is a bit of a learning curve to setting ZMF clocks, and I had to refer much more closely to the manual than I did with the other clocks under review. Still, setting the clock is not onerous, and I found it simpler to learn (if memory serves) than was the Chronos. Users have three preset option slots available to them, and stock time controls and preferences can be edited and saved as new presets for future use. Both clocks feature simple delay and increment settings along with byo-yomi and Scrabble modes, and blitz fans will love the fact that the clock can be reset with three clicks of the central button. There is a touch of iconoclasm about these clocks. The ZMF-II is the only clock on the market to use colorful LEDs for display panels, and the ZMF-Pro shows clock times with large numbers that fill the display. Both depart from the usual norms of chess clock design. I’ve found that players are divided on the ZMF-II, with some loving the bright LEDs and others (including me) finding them distracting. I’d not seen the ZMF-Pro before receiving my review clock; when I used it in a blitz tournament, I found the oversized numbers jarring and put it aside after the first game. After all of this, the question remains: which of these new clocks should you buy? The answer is… it depends. Let’s say you run a scholastic program or after-school chess club, and you’re not running US Chess tournaments regularly. In this case it would make sense to buy multiple inexpensive clocks, even if they lack features like delay, increment, or multiple time controls. The DGT 1001, Easy, and Easy Plus would all be logical choices, with the Easy being the best compromise between price and build quality. At $49.95, the DGT North American is an outstanding choice for the majority of US Chess players, and I think it the best value on the market today. The NA is sturdy and reliable, and it has every feature that an American tournament player could need. The Omcor GameTimer 960 would also serve most players well, although I’d like to see it used more widely before recommending it, and blitz fans might turn to the ZMF-II for their blitz and tournament needs. If you are looking for the best clock available, and money is no object, there are only two choices. The DGT 3000 and the VTek 300 are both fantastic. They are well built, easy to set, and feature-rich. If pressed, I would pick the 3000 because of the lower cost and the expansive display, but I’d resent being forced to choose! I have used all of the clocks mentioned in this article over the past few months, but I keep coming back to three for over-the-board play: the DGT NA, the DGT 3000, and the VTek 300. Each of these clocks would serve you well for many years, and each one receives my full recommendation. It should be noted that the author tried to contact the manufacturers of the Chronos clock as part of this review on multiple occasions, as did industry intermediaries on behalf of the author. No response was ever received. Note that DGT also produces a 960 capable clock, the DGT 960 ($39.95), but its small size and design make it less than ideal for serious tournament play. As a portable game timer, however, the DGT 960 might make sense for many players, especially those interested in 960 chess. This entry was posted in buying guide, chess clocks, chess equipment and tagged chess clock, chess clock buying guide, chess clock review, chess clocks, dgt chess clock, omcorchess clock, vtek 300, zmf chess clock on September 2, 2016 by fullcityplus. Last year I posted a three-part guide to holiday gifts for the chess player or aficionado in your life. Most all of what was written there still stands, so before I mention a few newer items of note, I refer you to those three posts. I also encourage you to check out my complete list of reviews. Here are a few new thoughts on the swag you might buy for your beloved chess fan. Some (but not all) of what I mention has been reviewed here already; if it has been reviewed, I will link to the review in question. 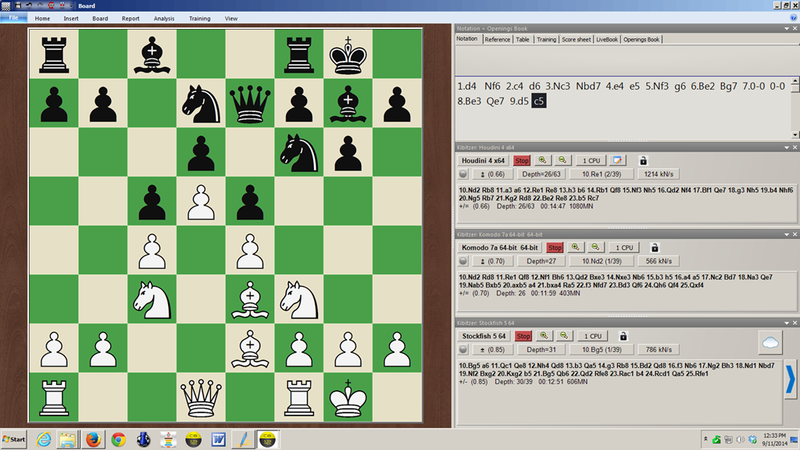 ChessBase is indispensable. It is expensive, but it’s worth it, and your player will be over the moon upon receiving this. 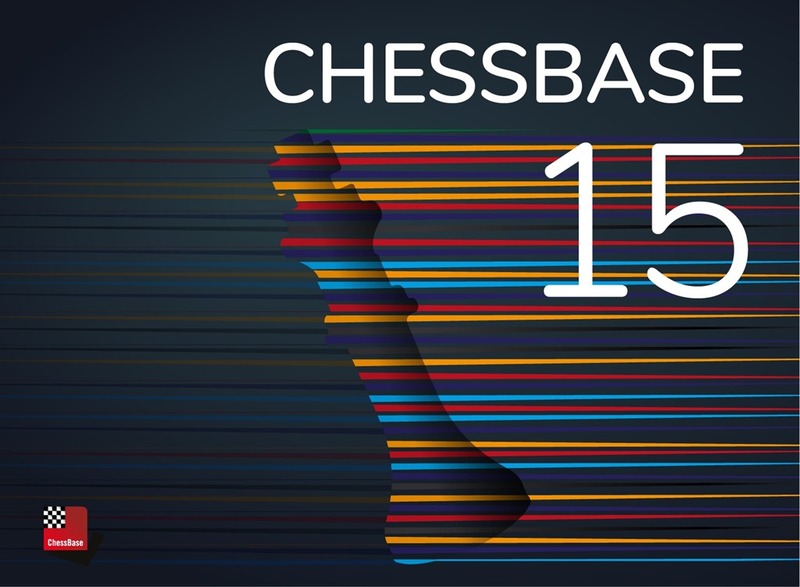 You can order from Amazon (available from Prime sellers) or download directly from chessbase.com if time is of the essence. If they have ChessBase already, perhaps they need a new engine to use in it! You might also consider getting them Jon Edwards’ lovely (and useful) book on getting the most out of ChessBase. Don’t let the length of Arthur van de Oudeweetering’s name trouble you. His new book from NIC, Improve Your Chess Pattern Recognition, is a great (and pronounceable) read on positional ‘priyomes’ or patterns. Most of the book started as columns in the defunct ChessVibes Magazine, and those columns were just brilliant. I expect the book (still waiting on a review copy) will be no different. Pete Tamburro’s Openings for Amateurs is really good for young players and players rated below 1800. It is good with explaining ideas but also contains enough analysis to form a coherent repertoire. The 4th edition of Dvoretsky’s Endgame Manual is out, and it’s the gold standard for one-volume endgame books. It’s a serious book for serious students, but I can’t think of a more useful book for someone who really wants to improve. The Stappenmethode series of books is, in my opinion, the best training system available. Parimarjan Negi’s first book, GM Rep: 1.e4 vs the French, Caro-Kann and Philidor, is the opening book of the year, and among the best I’ve ever seen. Deep analysis, good explanation, and plenty of novelties… what more could you ask for, besides volume 2? Vassilios Kotronias’ new book on the Sicilian Sveshnikov meets and perhaps exceeds his usual high standards for quality. That’s no small task! 1.d4 players will appreciate any of Alexei Kornev’s three volumes on closed openings. I’ve spent some time with the third volume, devoted to the Nimzo-Indian and other lines, and I’ve found the analysis to be solid and understandable for non-masters. Those with limited time for opening study and those looking for a very solid response to 1.e4 will like Hannes Langrock’s French Defense: the Solid Rubinstein Variation. Andy Soltis has written a number of really important historical works, but for a long time they were only available in expensive hardcover format. Now McFarland has begun printing some of those titles in paperback. Two of them are worth consideration: Frank Marshall, United States Chess Champion, and Soviet Chess 1917-1991. I found the latter to be indispensible when I was reading and reviewing Soltis’ new book on Mikhail Botvinnik, which itself won the 2014 Chess Journalists of America Book of the Year award. Jimmy Adams’ books have long been out of print and hard to find. His book on Johannes Zukertort, one of his best, has been reset and reprinted by New in Chess. There are lots of exciting attacking games in these pages. Judit Polgar retired from competitive chess this year, but before she did, she left us with a gift. The three volumes of Judit Polgar Teaches Chess are luminous! They cover the entirety of her career, and while the books are structured by topic and theme instead of in a strictly linear fashion, there is a lot of color and personal reminiscence to complement the games and analysis. These are very personal works, and I think they’ll stand up against the best autobiographical works in the history of chess literature. Bent Larsen’s Best Games makes the games of the Great Dane available once more to an English-speaking audience. A ‘fan’ or a ‘historian’ would appreciate Mark Dvoretsky’s latest book, For Friends and Colleagues: Profession: Chess Coach. I reviewed this for the January 2015 issue of Chess Life, and while I can’t break the publishing embargo, let’s just say that the review was positive. My best wishes to my readers for the holiday season! 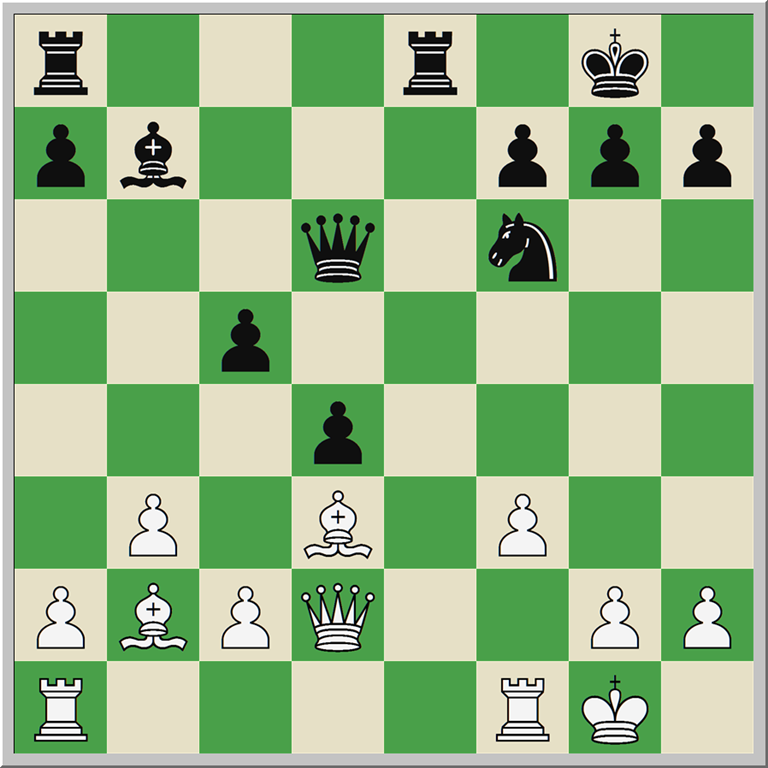 This entry was posted in buying guide and tagged chess book guide, chess buying guide, chess buying guide 2014, holiday buying guide 2014 on December 16, 2014 by fullcityplus. Now we get to the books. (Yay!) Because you may be buying for a few different types of person, I’m going to break my recommendations into four main groups. Note that each recommendation is accompanied by a very brief synopsis or note, and not with a full review. I’d never get anything else done today if I were to strive for more than that! Also: as a general rule, avoid buying any self-published Kindle books by authors you’ve never heard of. They might be cheap, but you get what you pay for. Chess For Children: How to Play the World’s Most Popular Board Game ($12.20ish at Amazon) is a lovely introduction to the game, replete with fun illustrations and solid instruction. The authors are a Kiwi Grandmaster and his wife. That same Grandmaster, Murray Chandler, also wrote How to Beat Your Dad at Chess ($12.71ish at Amazon). This book focuses on checkmating patterns, and every player – including adults of all ratings – would do well to memorize the 50 patterns here. True beginners might not be best served by this book, but it’s great for those who have played a bit and really want to beat Dad (or Mom, or Grandma). Chandler is also the author of Chess Tactics for Kids ($15ish at Amazon) which outlines 50 key tactical patterns. Susan Polgar’s dvd Learn Chess the Easy Way – Chess for Absolute Beginners ($19.95ish at Amazon) is a whimsical entry into the world of chess. She uses computer animation and some silly characters to bring the rudiments of chess to life on the screen. I’ve the first couple of chapters when leading workshops on chess for the Boy Scouts and at a chess camp, and the kids alternately enjoy the animation and groan when it gets a little much. An older child – or an adult – will find Fred Wilson’s Simple Attacking Plans ($12ish at Amazon) to be of great value. 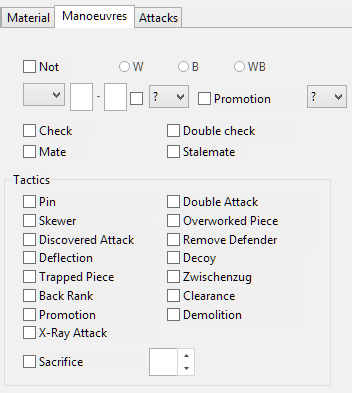 Wilson analyzes 37 games from players of a range of abilities, showing standard attacking themes and thrilling tactical thunderbolts. I’ve played through the games in this book and found them very instructive, even at my relatively advanced level. If you’re looking for a book to use to teach your child chess, Chess is Child’s Play: Teaching Techniques that Work ($16ish at Amazon) is a tested, systematic approach. If your child was born with a mouse in her hand, there is the Fritz & Chesster trilogy ($20ish at Amazon) of learning programs from Chessbase. Finally, having seen how obsessed children can be with tablets, the Dinosaur Chess app in the Apple Store is absolutely amazing. I know anecdotally about two children who have used the app and adore it. John Nunn’s Learn Chess ($10ish at Amazon) is a no-nonsense primer. Grandmaster Nunn is a reliable author, and most anything he writes will be a worthwhile purchase. Chess for the Gifted and Busy ($16ish at Amazon) won’t quite get you all the way to expert, as the title suggests, but GM Lev Alburt and Al Lawrence have put together a book chock-full of instruction. It’s dense, and it might move a little too quickly for some, but the work is overflowing with chess wisdom. I’ve always thought that Chess Openings for Kids ($14ish at Amazon) by IM John Watson and FM Graham Burgess was sadly misnamed, since it’s not just for kids! This is a well-constructed book that provides the key ideas for fifty opening systems and tabiyas. Any player looking to expand his understanding of the most opening would find this book helpful. Chess for Rookies ($20ish at Amazon) is another sturdy introduction to the game. Craig Pritchett covers most all the bases here, and in a reader-friendly way. Tactics are the most important thing for the beginning player to master if they are to improve. Chandler’s How to Beat Your Dad at Chess and Chess Tactics for Kids, discussed above, are good. I like John Bain’s Chess Tactics for Students, and I use this book when I teach at chess camps. John Nunn’s Learn Chess Tactics ($16ish at Amazon) is comprehensive and clear. Chess Tactics for Champions by Polgar and Truong ($17ish at Amazon) is a cost-effective collection of puzzles for solving. Finally, Jeff Coakley’s Winning Chess Exercises for Kids ($24ish at Amazon) is, for me, the best single collection of problems for beginning players of all ages to solve. I’ve used pages from Coakley’s book with my chess team, and I’ve found the problems to be instructive and the answer key highly educational. I believe that improving players – and particularly young players – should know their chess history. Most good teachers will tell their pupils that intensive study of the great players of the past is a great way to improve their understanding and chess culture. It’s for that reason that I think Max Euwe’s The Development of Chess Style (OOP, but lots of copies are available at Amazon) is a really important book for improving players to read. Euwe shows the historical progression of chess strategy and theory through a few dozen annotated games. He’s a great writer, and games are a lot of fun to play through. Learning the theory of chess shouldn’t feel this easy. I also really liked the new edition of Alekhine’s My Best Games of Chess 1908-1937 ($24ish at Amazon) released by Russell Enterprises this year. 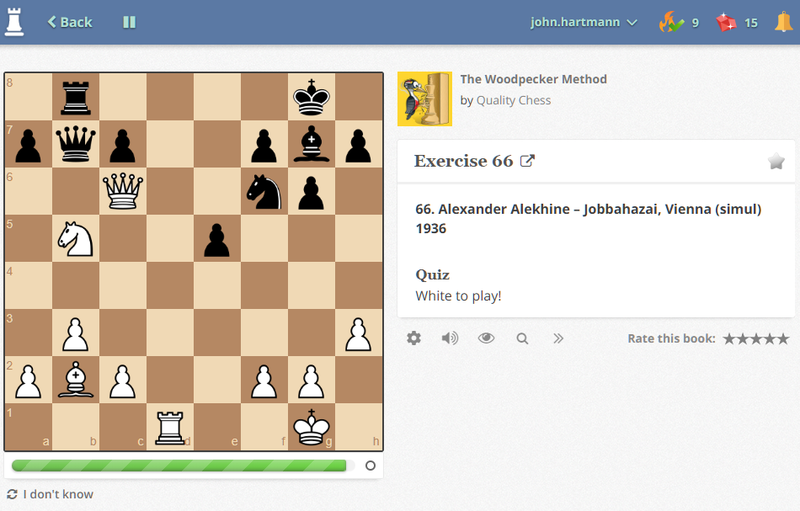 Alekhine was a great annotator and his games are always entertaining. You can read my review of this book if you are so inclined. You can never do enough tactics. Martin Weteschnik’s Chess Tactics from Scratch ($25ish at Amazon) will show your player how tactics work, while The Complete Chess Workout 2 by Palliser ($24ish at Amazon) will give them plenty of tactical practice. Ivan Sokolov’s Sacrifice and Initiative in Chess ($21ish at Amazon) is an advanced treatise on attack. It’s amazing, and it’s full of tidbits of attacking wisdom that would take years to acquire on one’s own. If the person you’re buying for is a serious chess player, this is a fantastic book. Finally, I just reviewed Axel Smith’s Pump Up Your Rating ($20ish at Amazon) and dubbed it the book of the year. This book provides a full-blown training program for the improving player. I can’t recommend it highly enough. As we age, we have to face facts: we’re not going to (necessarily) be able to keep up with the 12 year old tactical dynamos. Sometimes adjustments are required. Two recent books by John Watson – for me, the best chess writer around – can help with that, at least with the openings. Watson’s Play the French 4 ($23ish at Amazon) and A Strategic Opening Repertoire for White ($19ish at Amazon) are both opening works of the highest standard. Both books offer fully vetted repertoires with excellent verbal explanation of key ideas. Watson’s four volume series Mastering the Chess Openings [ volume 1 | volume 2 | volume 3 | volume 4 ] remains the single best resource on opening play in general, and all four volumes are now available in Kindle format. Older players can also outstrip their young opponents through positional play and the endgame. Bronznik and Terekhin’s Techniques of Positional Play ($21ish at Amazon) is a brilliant look at some of strategic tricks of the trade. John Nunn’s Understanding Chess Endgames ($19ish at Amazon) is a handy overview of numerous endgame theoretical positions and themes. Dvoretsky’s Endgame Manual ($26ish) is, of course, a real classic, and Mikhail Shereshevsky’s classic Endgame Strategy ($16ish at Amazon) is the best single introduction to endgame strategy in print. Andy Soltis’ 100 Chess Master Trade Secrets: From Sacrifices to Endgames ($19ish at Amazon for paperback) is available in Kindle format, and will be out in paper in January. This looks like another of Soltis’ better books, offering 100 ‘priyomes’ or nuggets of chess knowledge in very palatable format. Fans of chess culture will love Hans Ree’s My Chess ($19ish at Amazon) and the new translation of Euwe’s tournament book on the 1948 Hague / Moscow Match Tournament ($19ish at Amazon). You can read my review of the Ree book here. Russell Enterprises, as an aside, is really doing the chess world a great service by translating and algebratizing some of the treasures of chess literature. Kudos to them! I can’t possibly hope to cover all the books out there, but if readers have questions about specific titles, I’d be glad to try and answer them in the comments. This entry was posted in buying guide and tagged chess book guide, chess book reviews, chess books, chess buying guide, chess buying guide 2013, holiday buying guide 2013 on December 11, 2013 by fullcityplus.